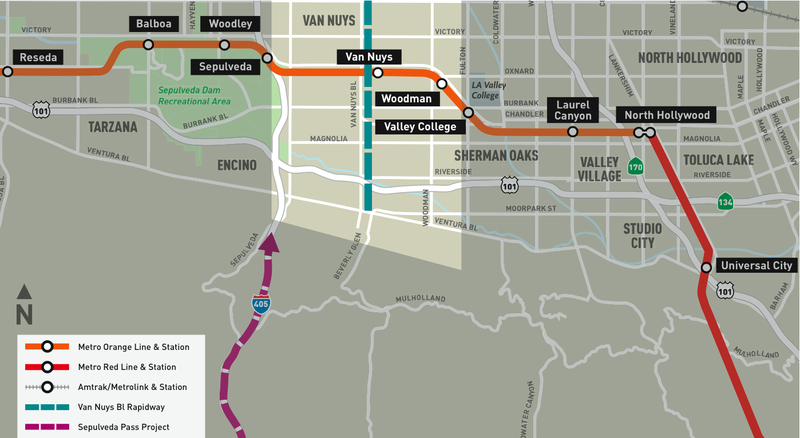 The Van Nuys Rapidway will travel over 10 miles between Ventura Blvd. and the 210. Here is a closeup of how it will connect to existing and planned Metro transit lines.